George Byrnes is pictured on the left. 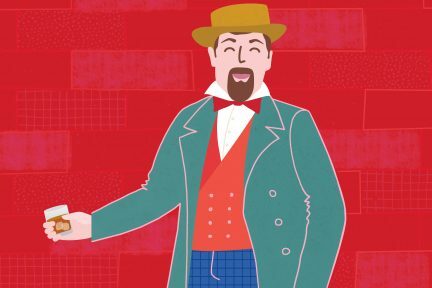 On June 13, 1886 at 2:00 p.m., a group of CPR workers were watching a controlled clearing fire on Granville and Hamilton streets, when a freak squall brought vicious, sudden winds from the west and spread the small fire into an enormous conflagration. In less than 45 minutes (some accounts say less than 20), this fire burned more than 1,000 wood frame buildings to the ground in the two-month old, 1,000-person City of Vancouver. “Vancouver didn’t burn—it exploded,” remembered one survivor. To live through it would have been terrifying: residents fleeing burning buildings felt their clothing catch fire from the intense heat. People jumped into the water near Hastings Mill to escape, where a coal hulk named the Robert Kerr had broken from its moorings and been blown ashore; it would be used to house refugees. Sidewalks burned faster than could be outrun. St. James Anglican Church rang its bell to warn residences of the impending flames; when the fire was over, the bell was a useless, molten lump. The need for cover and escape was so immediate and desperate that charred, unrecognizable remains were still being found in wells and under buildings 20 years later. Vancouver’s mayor at the time, Malcolm MacLean, wired Prime Minister John A. Macdonald for relief, and was immediately sent $5,000. With embers still smoldering, less than 12 hours after it burned to the ground, Vancouver began to rebuild. 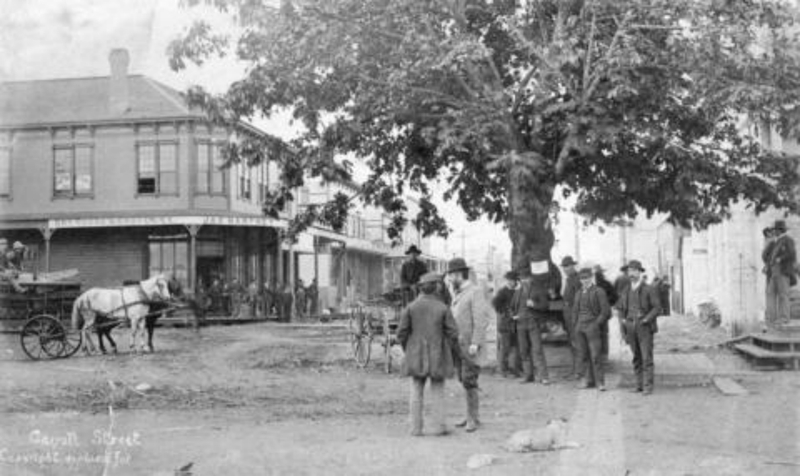 Railway towns of the late 1800s, Vancouver included, were rough places. Dirty, transient, alcoholic, with sparse populations and miles of stumps for vistas. The work was hard and provisions were expensive. 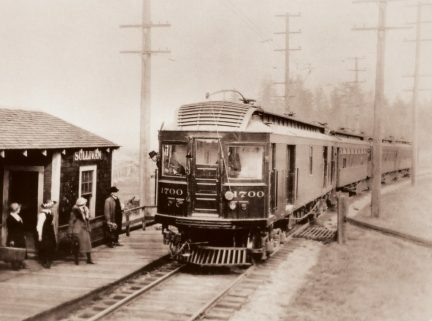 In order to move past a legacy of wooden shacks and hard living, Vancouver would need to establish itself as a permanent, legitimate town, worthy of a visit along the fast-approaching railway. It would need structure, culture. It would need architecture. One of the first brick buildings to rise out of the fire was the still-standing Byrnes Block: a Victorian Italianate built in the centre of Maple Tree Square and also known as the Alhambra Hotel. It was built by George Byrnes, an immigrant from Australia who was one of only three people to be rescued from a shipwreck en route from Sydney to San Francisco. It was the first fireproof building to be built in the city and sits on the corner where “Gassy” Jack Deighton built his second saloon. It would set the tone for what the young city could look like, and aspire towards. Railway hotels were beginning to be designed with opulence in mind, making them destinations in and of themselves. 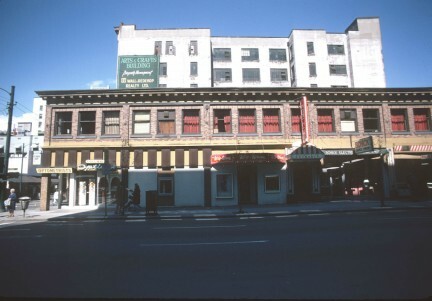 The Alhambra was the first of this kind in Vancouver, but as the first, it also needed to diversify. It provided short and long term lodgings, for both wealthy guests and seasonal workers. The architect was Elmer H. Fisher, a master of the Italianate style. Particular attention was paid to its design in order to distinguish it from the rest of the lodgings on offer, and it was striking: each room had its own fireplace and running water, while the building’s exterior impressed with ornate window hoods, elaborate arches, granite threshold slabs, cast iron columns, and a corner entryway. It was completed with impeccable timing in 1887, the year the first locomotive arrived from Montreal. The hotel itself was on the second story, with commercial buildings on the ground floor. Over its 128-year history, it has been numerous retail stores, saloons, restaurants, a stable, and offices, as well as Vancouver’s first courthouse and jail. It has been said that Vancouver is a city flippant about its history, perhaps because it is so young. Fisher would be wooed to Seattle, where he would find success in his chosen architectural style. Gastown itself would decline, its first buildings forgotten about and left to disrepair. But in the 1970s, when it was seen that a refurbishment could make it into a popular tourist destination, attention was again paid to the neighbourhood, and money began to pour in, just as it had after the fire and during the first days of the railroad. In 2009, a refurbishment began on Byrnes, restoring it to a near perfect representation of what it looked like in its early days. It’s amazing to think that people born two centuries ago took in the views from the second story hotel windows, but perhaps it is more incredible still to think of what they must have seen: rapid growth, decline, change, rebirth. With its latest refit and status as one of our first tone-setting buildings, it will be watching our further changes for years to come. 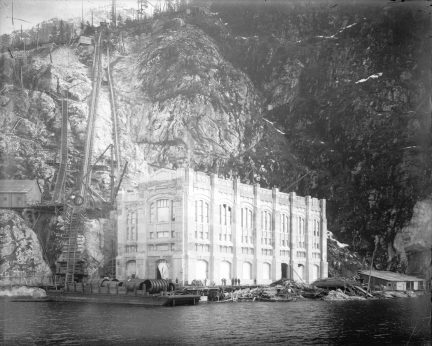 Photo by H. T. Devine, courtesy of the City of Vancouver Archives.